Since 1989, the International Reading Association started the Teachers' Choices project that will encourage young people to read. 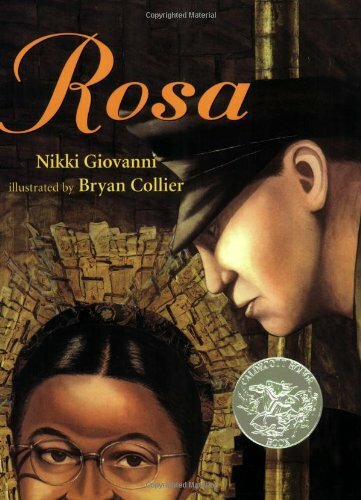 These are books that kids will enjoy-and that contribute to learning across the curriculum. Teachers and parents will find exceptional for curriculum use or reading aloud uses. 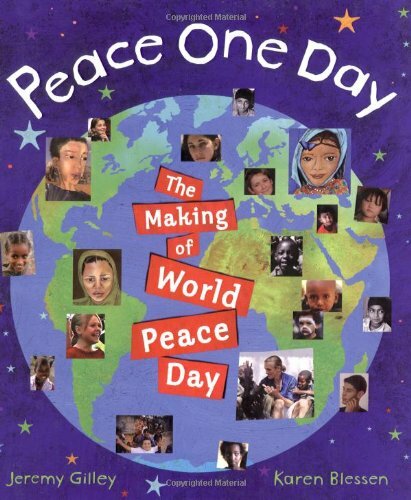 One day, a lightbulb went off in Jeremy Gilley's head: there should be one day each year when the world stops fighting and celebrates peace. And he did much more than just think about it. He traveled the globe, meeting with leaders such as Kofi Annan, Amre Moussa, Shimon Peres, and His Holiness the Dalai Lama. Jeremy's enthusiasm and tireless efforts convinced the governments of the world to change the UN International Day of Peace from a day that moved each year and didn't actually require anyone to stop fighting into a cease-fire day of nonviolence that would fall on September 21 every year. This amazing story touches on the causes of war, what would happen on a cease-fire day, ways to promote peace on September 21, and most important, how a single person can make a difference in the world. Our national forests are among the great natural treasures of the United States. In the national forests, wildlife can roam free. People may enjoy outdoor activities. The national forests are also a resource for timber. Today, we may take these forests for granted. 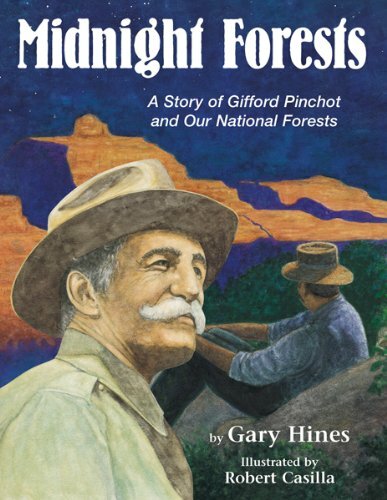 But without Gifford Pinchot and other conservationists in the early twentieth century, the national forests would not exist today. Pinchot put a stop to the destruction of the nation's forests by introducing methods that would ensure healthy forests for years to come. He was helped by another man who loved the outdoors: President Theodore Roosevelt. Late one night in the White House, they set aside large areas and designated them public lands. They made many people happy. But they made others furious. Gary Hines's inspiring story, beautifully illustrated by Robert Casilla, shows how two remarkable individuals changed the landscape of the nation. On April 18th at 9:30 p.m. Paul Revere learned that the British Army was marching toward Lexington and Concord to arrest rebel leaders. At 5:20 the next morning, a shot rang out and the American Revolution had begun. 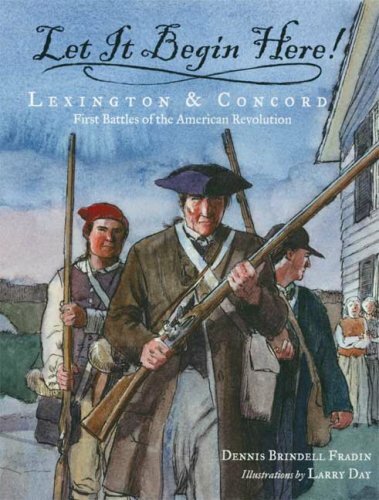 Told in a step-by-step account of the 24 hours leading up to the battles that sparked a revolution, this tale is sure to both inform and entertain. Every summer Sarah Marie visits her Grandmama who lives in the south. 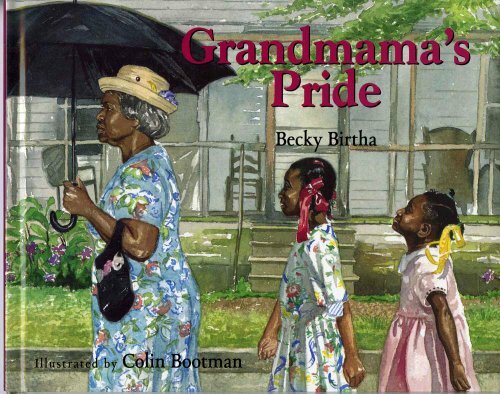 She doesn't realize how segregated the south is because Grandmama is too proud to put up with those things. They walk to town instead of sitting in the back of the bus. And so the man from Pisa probed, watched, measured, and tested. He used the dripping of water to gauge time, hand spans and arm lengths to find distance. Where Aristotle had asked why things moved, Galileo asked how. History is full of explorers, inventors, and revolutionaries. Yet few discovered, created, or braved as much as an Italian math professor named Galileo Galilei. In the lively rhymes of J. Patrick Lewis and beautiful illustrations of Tom Curry, the life and achievements of this pioneer of the sciences are now celebrated like never before. Poems and images, set in a magnificent pop-up design, take readers back four centuries to watch this true Renaissance man play with pendulums, peer into the heavens, and risk his life to make known the truths of our world. Galileo's courage in challenging the long-held beliefs of his time draws special attention in this book, as do his unconventional methods of research and discovery. 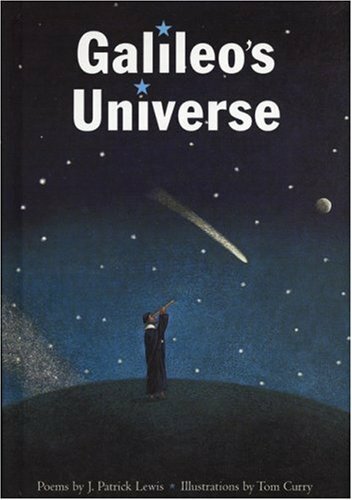 Sure to be enjoyed by readers of all ages, Galileo's Universe is a tribute to an icon of curiosity and conviction. J. Patrick Lewis has been captivating young readers with his bright and lyrical writing style for years. His list of children's books includes Creative Editions' The Stolen Smile, The Last Resort, and Swan Song. His books have earned critical acclaim from such publications as Publishers Weekly and garnered such honors as the Kentucky Bluegrass Award. 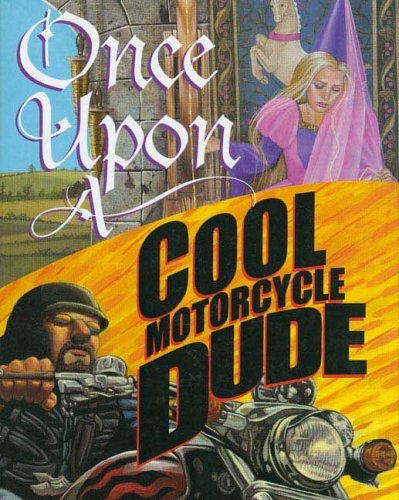 Tom Curry has been working as an illustrator since 1977. His award-winning illustrations, which often portray both the humor and despair unique to the human condition, have appeared in five children's books and such prominent periodicals as TIME, Newsweek, Rolling Stone, and The Atlantic Monthly. The absorbing story of the first people to set foot in North America and the many cultures of their descendants. For thousands of years nomadic people from east Asia followed caribou walking east. Sometime around 20,000 BCE, they crossed the land bridge into North America. These waves of people are the ancestors to every culture on the continent. 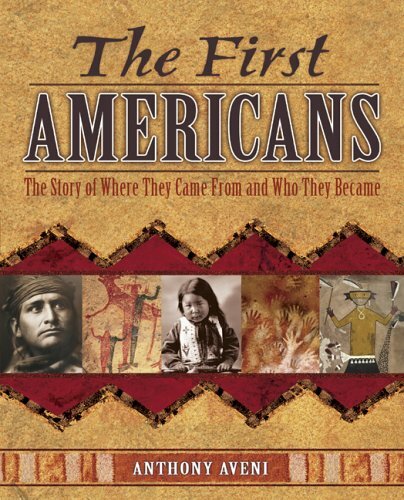 Tony Aveni, whose expertise is the scientific, mathematical, and cultural accomplishments of the first Americans, celebrates the disparate cultures by highlighting one or two from each region of the country: the Taino, the Iroquois, the Adena, the Anasazi, the Kwakiutl, and the Timucua. A young Nebraska girl discovers the courage to save others during a life-threatening snowstorm. It is 1888. Twelve-year-old Anna loves life on the Nebraska prairie where she lives with her parents and four-year-old brother in a simple sod house. She doesn't mind helping out with chores on her family's farm, especially when she is herding sheep with her beloved pony, Top Hat. Here, on the open prairie, Anna feels at home in the world. But at school she feels hopelessly out of place. Arithmetic is too hard, her penmanship is abysmal, and stuck-up Eloise Baxter always laughs at her mistakes. 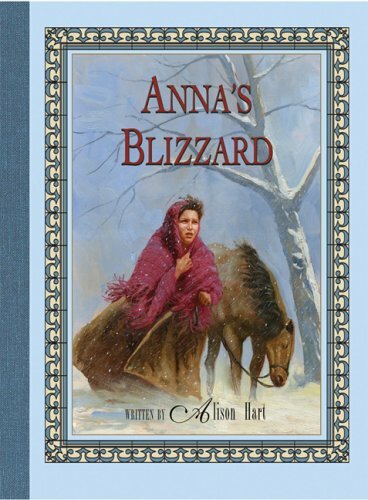 When a fierce blizzard suddenly kicks up on a mild winter day, Anna, her schoolmates, and young teacher, Miss Simmons, become trapped in the one-room schoolhouse. The kerosene is gone and the wood for the stove is low. Then the wind tears away the roof and door. Anna knows they must escape before it is too late. Does she have the courage and strength to lead the others through the whiteout to safety? Author Alison Hart offers young readers a dramatic story of rescue and survival set in a nineteenth-century homesteading community and featuring a plucky, determined protagonist. An author's note provides more information about prairie life in the late nineteenth century and about the great storm that hit Nebraska in 1888, now known as "The School Children's Blizzard." Rachel's Oma (her grandmother) has two picture albums. In one the photographs show only happy times -- from after World War II, when she and her daughters had come to America. But the other album includes much sadder times from before -- when their life in Germany was destroyed by the Nazis' rise to power. For as long as Rachel can remember, Oma has closed the other album when she's gotten to the sad part. But today Oma will share it all. Today Rachel will hear about what her grandmother, her mother, and her aunts endured. And she'll see how the power of this Jewish family's love for one another gave them the strength to survive. 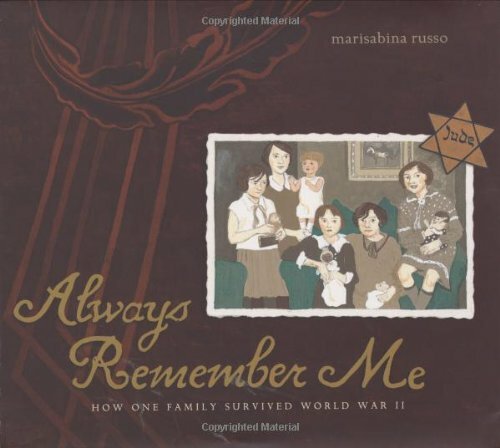 Marisabina Russo illuminates a difficult subject for young readers with great sensitivity. Based on the author's own family history, Always Remember Me is a heartbreaking -- and inspiring -- book sure to touch anyone who reads it.